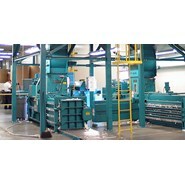 JWR offers an extensive line of closed door balers to accommodate different materials, systems, and volume. Take the guesswork out of your baling operation with Maren’s ProPAK60 Full Eject Baler with exclusive Smart Bale Technology. 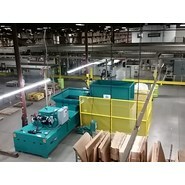 Not only can it intelligently customize bale size and weight to meet your shipping methods; it can communicate directly to your production personnel with up-to-the- minute notifications on throughput, jams, productivity and even keep track of its own maintenance schedule… it’s nothing less than the smartest of its class! Take the guesswork out of your baling operation with Maren’s ProPAK60S Full Eject Baler with exclusive Smart Bale Technology. Not only can it intelligently customize bale size and weight to meet your shipping methods; it can communicate directly to your production personnel with up-to-the- minute notifications on throughput, jams, productivity and even keep track of its own maintenance schedule… it’s nothing less than the smartest of its class! 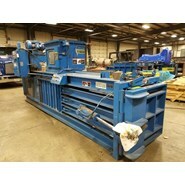 Maren model 72 Automatic Baler solves scrap handling problems efficiently and economically. For over the past 45 years, hundreds of Maren 72 Automatic Closed Door Manual Tie Balers have been installed across North America and beyond. 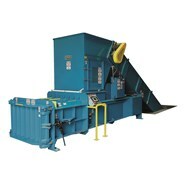 The Maren 72 Automatic Baler produces “Mill Size” bales generating maximum revenue for your recycled product and a quick return on investment. A photo-electric eye in the hopper controls the baling operation. When the light beam is blocked by material, the baling cycle automatically starts and continues until the light beam is no longer blocked. 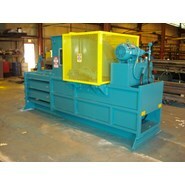 The baler will not operate unless the hopper is filled. A buzzer sounds to alert the operator that the bale is complete. An operator is only needed to release the door, tie off and handle the bale—a part time job. Floor Space … use less – make more! The Model 423 has an extra-large feeder hopper that can be adapted to gravity, pneumatic or belt conveyor automatic feed devices. 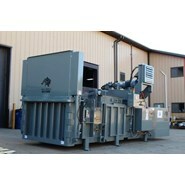 Fully automatic baling cycle with start-compress-and-stop action, requiring only a part-time operator to tie-off bale and open ejector door. Bale automatically gets ejected as new bale is being formed. Saves space and money. With all the operating features of larger more expensive balers, the Model 423 is the most efficient automatic baler of its kind!